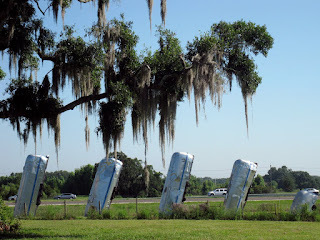 It was with great sadness that we learned of the passing of one of our favorite eccentric roadside attractions. 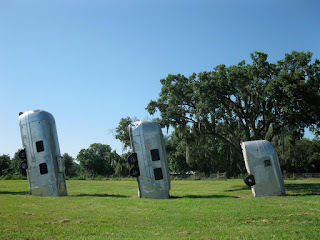 The Airstream Ranch of Dover, Florida consisted of eight different sized Airstream trailers (seven and a half, actually, to commemorate Airstream's 75th anniversary) partially buried and angled as an homage to the Cadillac Ranch of Amarillo, Texas. 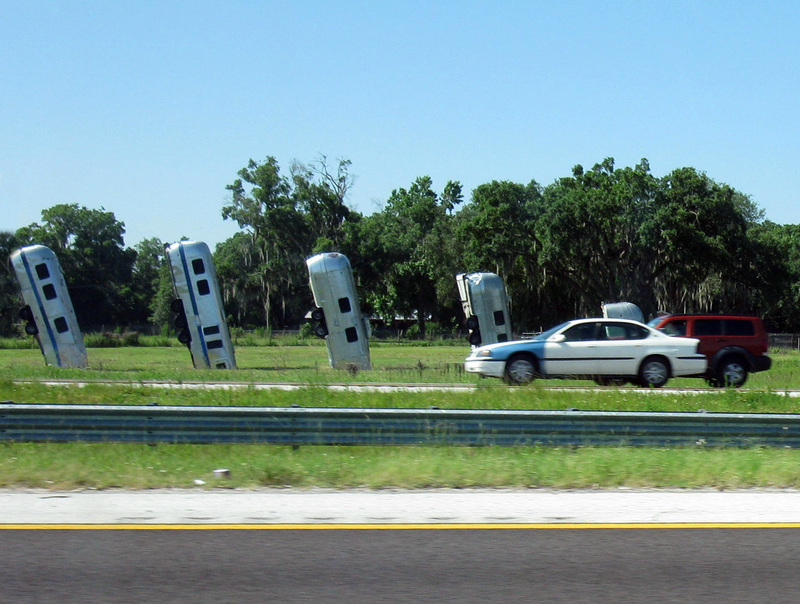 It was assembled by the Bates R-V dealership in 2007. The dealership was sold four years ago and the ranch was torn down a few days ago to make way for expansions to the new owners' dealership and to make space for an Airstream museum. 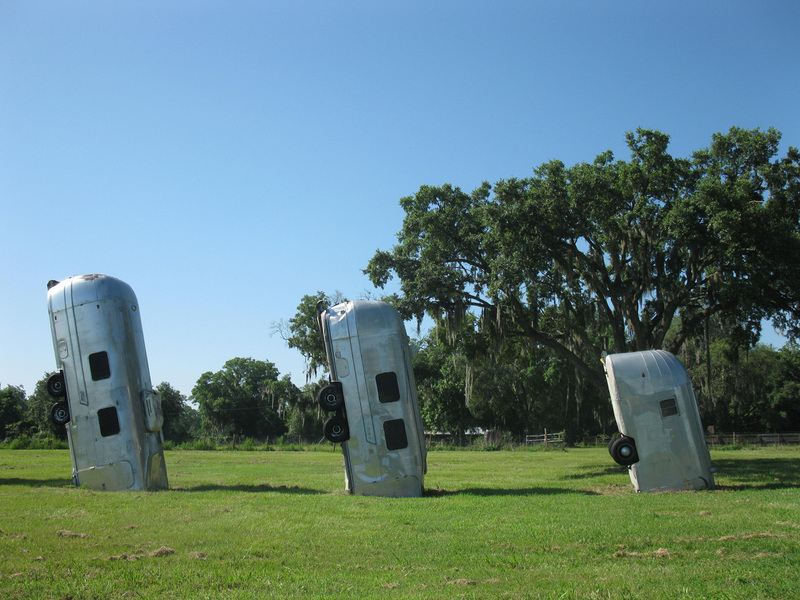 While we're happy with the idea of an Airstream musem --who wouldn't be? -- we're a bit verklempt they had to take down such a funky one-of-a-kind work of art to do it. This just serves as a reminder to visit these wonderful wacky places while they're still standing because they may not be there the next time to you look for them. In other words, carpe 'stream. Amarillo, Texas has the Cadillac Ranch. 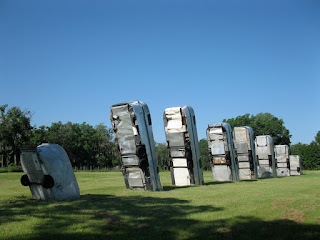 Alliance, Nebraska has Carhenge. 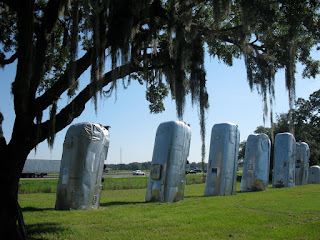 And the pleasant central Florida hamlet of Dover has the Airstream Ranch, seven and a half shiny Airstream trailers of different size and vintage upended and partially buried nose-first in a field along Interstate 4, about a half-hour east of Tampa. The brainchild of Frank and Dorothy Bates, proprietors of the Bates R-V dealership (who bill themselves as the largest Airstream dealership in the United States), it was installed on their property on 2007 in honor of Airstream's 75th anniversary (hence the seven and a half). 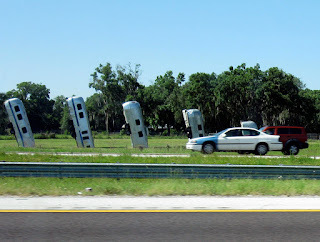 But like all great eccentric roadside attractions, it wasn't without controversy. 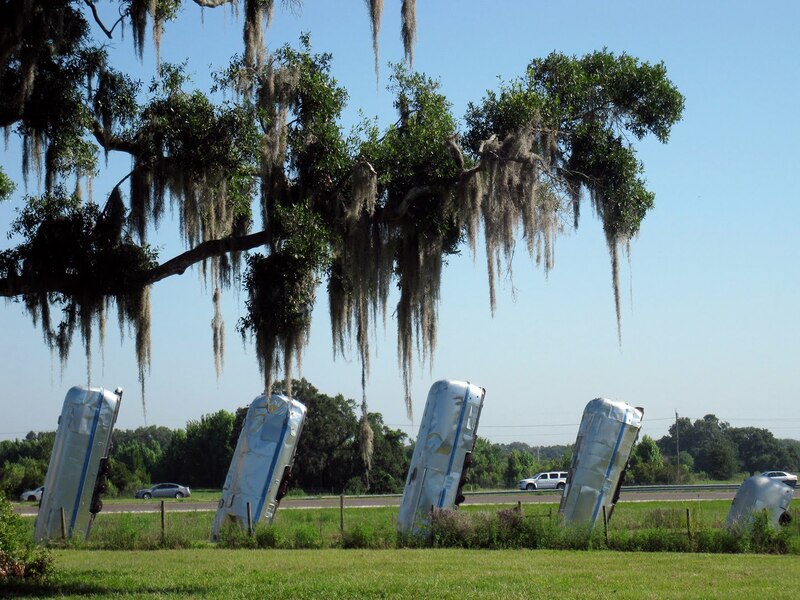 Seems some of the neighbors hated it and Hillsborough County officials fined the Bateses $100 a day until it was taken down. The Bateses appealed and last February a three-judge panel ruled in their favor and they got to keep their ranch. The Bateses' argument was that it was an artistic expression, not an advertisement, and, while the judges avoided answering whether or not it was art, they did conclude that it wasn't advertising and it wasn't junk, so there it stands. And it's going to get even better: "Now we're going to light it at night," says Mr. Bates. Bravo to the Bateses for their eccentric artistic vision. If you build it, they will come.